The Universal Seduction: Destroyed: Obama Mama Passport Records Come Back To Haunt Him; Mystery Solved? I have no use for Barack Obama. I don’t need a President with a history of drug abuse who puts the dreams of his father above the interests of the United States. Obama’s presidency is like a giant sinkhole, swallowing up everything we ever valued as Americans. It’s almost an insult to our intelligence, to ask us to believe that Obama is a US citizen. He has a schizophrenic timeline of unexplained foreign travel, a list of aliases, and uncomfortable friendships with communists and hostile governments. We can drop this debate over his birth certificate because we have something even more valuable. We have his mother’s passport files. When Obama was young, children traveled as an addition to their parents’ passports. Passport regulations required a photo of parent and child together, as well as a certified copy of a hospital birth certificate. State-issued IDs came much later. 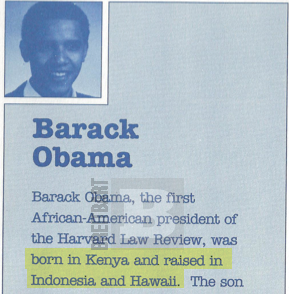 If Obama was born in the United States, as everybody says, then there should be a photo of little Barack Obama with his mother, as well as a certified copy of his Hawaiian birth certificate in her file. Surprise. There are no photos of little Barack Obama in the file. And of course, there is no birth certificate from any hospital in Hawaii. I know the passport laws for children. Obama’s mother and I would be approximately the same age if she survived. I filled out the very same passport applications for my own daughter, three years after Obama’s mother took him to Jakarta. The laws were the same for both of us. My daughter was born in an Army hospital in Japan in 1971, when my husband was in the Navy. I added her to my passport so I could bring her back to the United States. I remember it like it was yesterday because my ex-husband complained about how complicated it was. We had to go to the hospital and get a certified copy of her birth certificate, re-take my passport photo with my daughter, crop it until it fit the requirements, and then go all the way to the US Consulate in Tokyo and stand in line. If there was anything the man hated, it was anything that cost him money or inconvenienced him. I carried a joint passport for myself and my daughter through US Customs and Immigration in Hawaii. I can tell you from experience that if Obama’s mother tried to take her son through US Customs and Immigration in Hawaii without a joint passport for herself and her son, she would have been stopped. The obvious question is, who took him through US Customs and Immigration and helped him board the plane in Hawaii? And who brought him back? The only mention of little Barack Obama is when his mother tried to renew her passport at the US Consulate in Jakarta a few years later. We see evidence of that in the file. 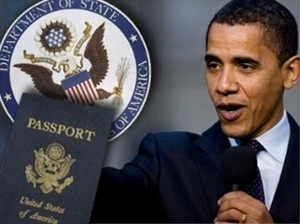 FLASHBACK: Department of State destroyed Obama's mama's pre-1965 passport records. Chris Strunk and Ken Allen were the first to obtain the Stanley Ann Dunham and Lolo Soetoro passport records received under the Freedom of Information Act. It was those records that showed Obama's Indonesian surname "Soebarkah" and led to the discovery that the Department of State destroyed Obama's mama's pre-1965 passport records.